One of the other aims of Chicago by Night was to achieve a real feel for the city. 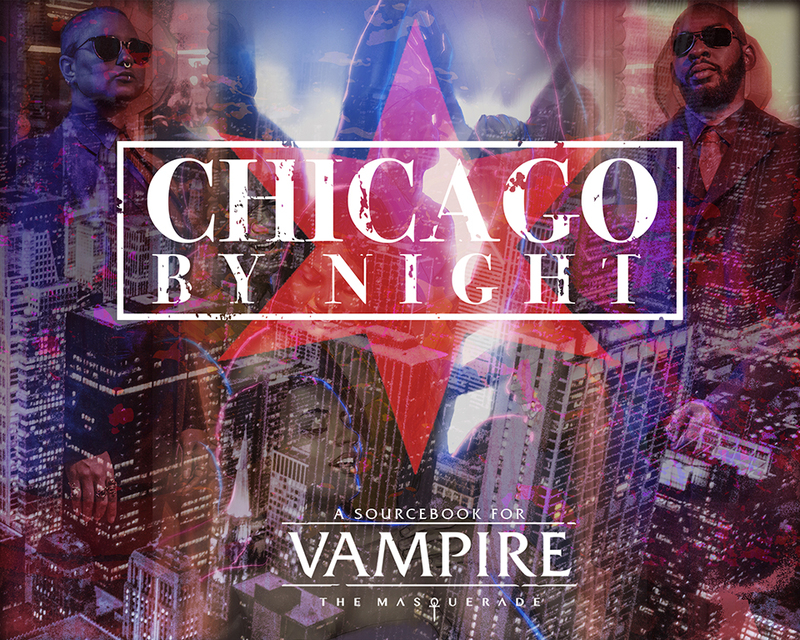 We could have gone for a generic [City] by Night book, but Chicago holds a place in a lot of Vampire fans’ unbeating hearts, so we wanted to evoke the very real diversity of mood, culture, personalities, and politics in the Windy City. I strongly feel we have achieved this. The writing team is made up of authors from all over, and with many backgrounds. They wrote with honesty and passion in mind and I think you can tell that from the fantastic array of characters on display in Chicago by Night. We have covered every nook and cranny of this domain, from the nightspots to the suburbs, from the inner city to the shore of Lake Michigan. We have looked at vampires of so many origins. But crucially, we have made this book feel like it’s about Chicago, not just any city. There’s plenty in here for you to use for your own domains, but if you want the authentic Chicago by Night experience, this is the one for you. I hope you check our Kickstarter out! If you have any questions, and I can answer them, please post in the comments below! I would like to know if the Book in It’s entirety will be previewed during the kickstarter? If we can, that’s certainly the intent. The book is written, but one part still requires approval, which sometimes takes back and forth. Already backed the kickstarter! Eager to see the 5th edition Lasombra and their disciplines! Stoked to see a Chicago sourcebook but i gotta ask. How much will other templates (werewolf, mage, etc) be touched on or do you plan on making an updated world of darkness: Chicago sourcebook? Lupines will be present, but until there are other core books, we’ll be staying fairly far from including other creatures. Also, WOD: Chicago was for the nWOD/CofD. Chicago by Night is for the original WOD. 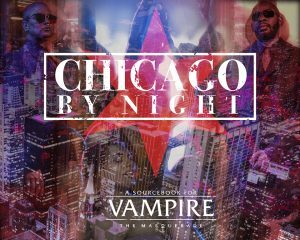 Will we be seeing characters from the previous Chicago by Night books? Yep! If you check out the Kickstarter, you’ll find in the Updates that some of the classics are still there. Would it be possible to have some digital assets? An A3 and/or A4 stylised city map would be great to spread out and help players visualise where locations are in relation to each other. Any advice (appreciate licensing music would probably be too much to ask) on an atmospheric playlist would be good too. We have those noted as potential stretch goals. Has anyone confirmed whether the Lasombra are getting a fully-formed new Discipline (i.e. Obtenebration), or is Chicago By Night going the same route as the Camarilla and Anarch sourcebooks by somehow folding Obtenebration into the existing Disciplines? That will become clear as the Kickstarter progresses.